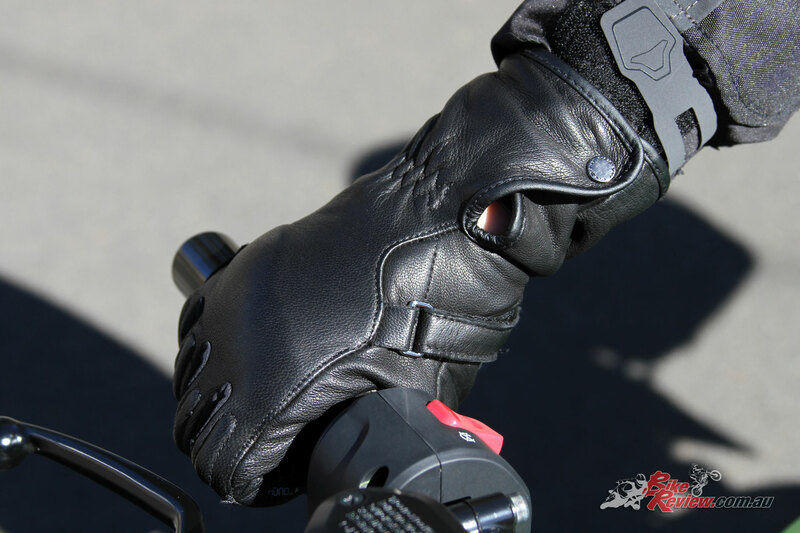 With warmer weather fast approaching and a new range of summer gloves in stores I recently had the opportunity to trial the Moon glove in black from Macna’s women’s range. The gloves are made from a supple goat leather that is smooth and soft to touch. 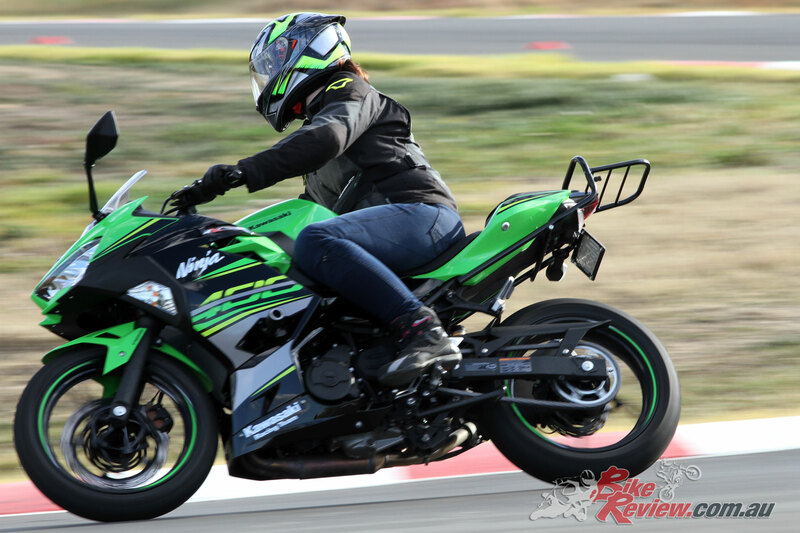 It’s the type of material that offers the rider great flexibility in movement and doesn’t pinch or leave marks on your hands and fingers. 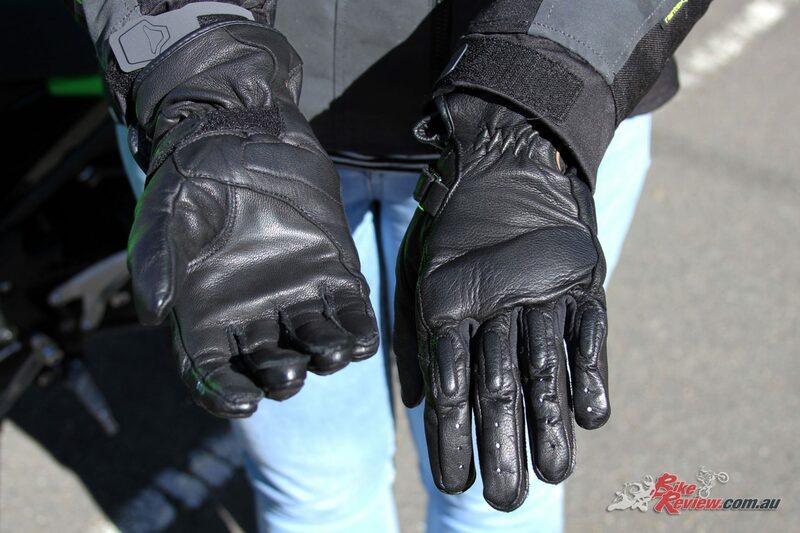 I was impressed by the fact that I could wear the gloves straight away with the level of sensitivity and movement that you would expect from a well-worn pair. They are also lined with bemberg, a soft silk-like fabric that kept my hands warm in the last days of winter, that I’m sure will breathe well once it heats up. 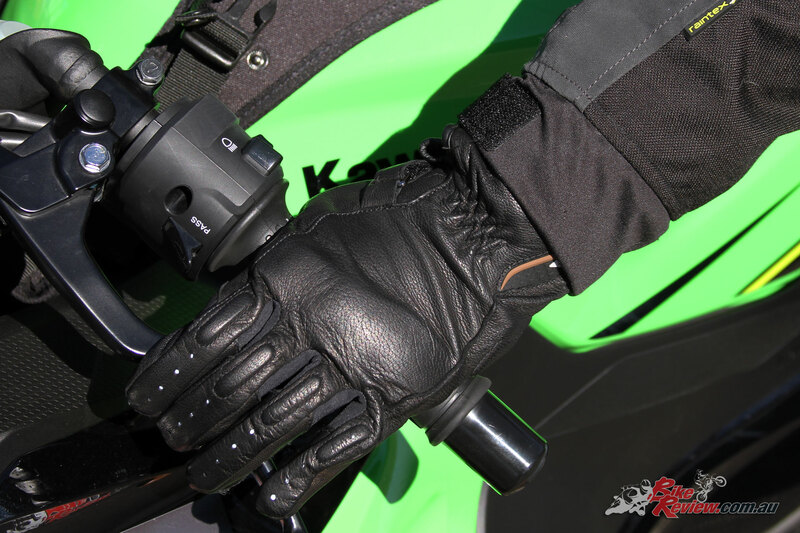 I quite like the fit of Macna gloves. I’ve found it difficult in the past to find a pair of gloves that fit my long fingers (and that’s with short nails), but not with the Moon gloves, they offer the right length for my hands but without excess material, as you sometimes get when you move up a size. I tried a women’s large which was just right for me. Unlike other brands and ranges the Moon gloves are available from extra-small to 2XL meaning a greater chance to find a pair that fit. The Moon glove comes with a Velcro strap to tighten at the wrist, as well as a button closure at the end of the cuff. Although this is a fairly simple design I found the gloves very easy to put on, and take off in just seconds, and it also meant that I could minimise material bunching at my wrist. My only minor criticism is that the strap runs diagonally down from about the thumb knuckle to the centre of the wrist, leaving much of the Velcro exposed which felt like a bit of a waste and impacts the look of the gloves. 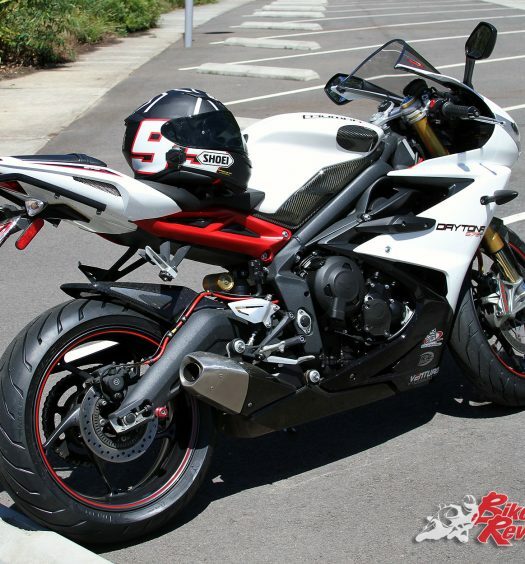 That said, the gloves are a classic and simple design that compliments other riding gear. 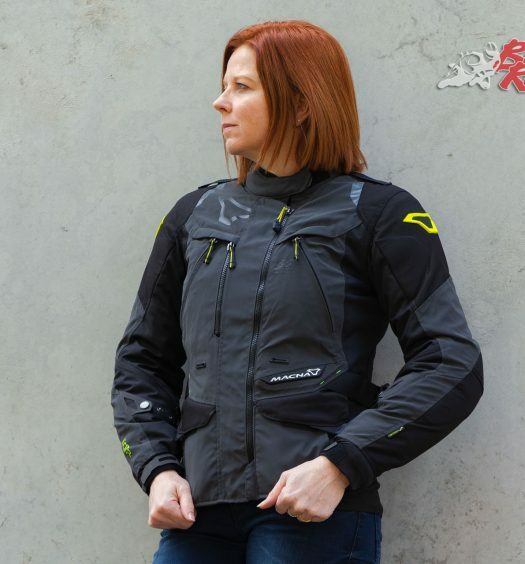 They also feature a long cuff which offers wind protection, and reinforced padding on the palm that I found helped my grip when riding, and will also offer extra abrasion resistance. In terms of safety, the Moon gloves offer EVA knuckle protection. I’m not a huge fan of knuckle protection in the form of a shell – it never quite fits right and just makes it uncomfortable. So padded protection is a bonus for me. However, I do think the gloves could be improved with some reflective piping. Another interesting feature of the gloves is a touch tip on the index finger, meaning they are compatible with a smart phone. Although I found you lose some sensitivity and precision I can see this coming in handy on occasion when I need to whip the phone out for directions. Overall, I found Macna’s Moon gloves blend comfort and style, and would recommend them for daily commutes in mild weather. 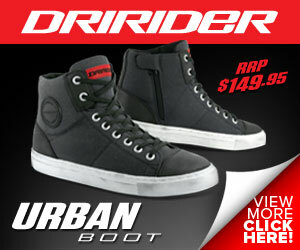 They retail for $119.95, and can be purchased from your local Macna stockist. See the Macna Australia website or Link International for more information.